Struthers - Donald M. Moretti, 79, died unexpectedly early Thursday morning, October 18, 2018 at his residence. 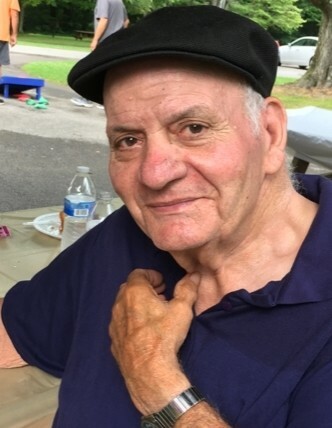 Mr. Moretti, affectionately known as Donnie, was born November 4, 1938 in Youngstown, a son of the late Nazareno and Angeline Mangine Moretti. He was raised on his family farm in Edinburg and in 1961 moved to Struthers. He attended Union High School in New Castle and worked for Butch and McCree Paving before being initiated into the Operating Engineer, Local 66B in 1965. Donnie worked for over 40 years as a heavy equipment operator for numerous companies, retiring from Honey Creek Limestone in Petersburg in January of 2004. Donnie loved having his hands in the dirt and so he continued gardening on his farm in Edinburg. He would sell the produce he raised at Pyatt Street Market and Four Seasons Flea Market. After retirement he was a familiar face at the Angiuli produce stand located at Market and Wildwood in Boardman. When not gardening and working the flea market, Donnie enjoyed mowing his lawn and his neighbors' lawn, planting flowers and shoveling the snow. He just loved being outdoors and tending to his flowers and raised garden beds. Donnie was a loving husband and caregiver to his wife Helen; a wonderful father to his daughter Mary Jo, who he taught the importance of high integrity and a good work ethic; and was a strong role model to his two grandsons, Jeffrey and Jacob, who he taught the appreciation of a simple life and work till your work is done. Donnie was a member of Holy Family Church and a former member of the Son's of Italy and St. Anthony Club in Struthers. His wife, the former Helen Quint, whom he married July 29, 1961 died May 22, 2017; He leaves his daughter, Mary Jo Penk of New Middletown; grandsons, Jeffrey (Theresa) Penk of New Springfield and Jacob Penk of Ashtabula; great-grandchildren, Michael and Bella; sisters-in-law, Elsie Moretti of New Middletown, and Ann Tomasello and Betty Ullrich both of New Castle, PA. In addition to his parents and wife, Donnie was preceded in death by his siblings, Patrick Moretti, Mary Bonace, Gene Moretti, John Moretti and George Moretti. A Prayer Service will be held Monday, 9:15 a.m. at the Davidson-Becker Funeral Home in Struthers followed by a Mass of Christian Burial at 10:00 a.m. at Holy Family Church with Msgr. William Connell officiating. Interment will follow at Our Lady of the Holy Rosary Cemetery in Lowellville. Friends will be received Sunday from 4-7 p.m. at the funeral home. Donnie's family would like to request for those attending calling hours to dress casual in keeping in the spirit of Donnie's appreciation for the simple life and the outdoors. Donnie's family would like to thank Dr. Santucio Ricciardi and his staff for the wonderful care he provided Donnie thoughout his life.